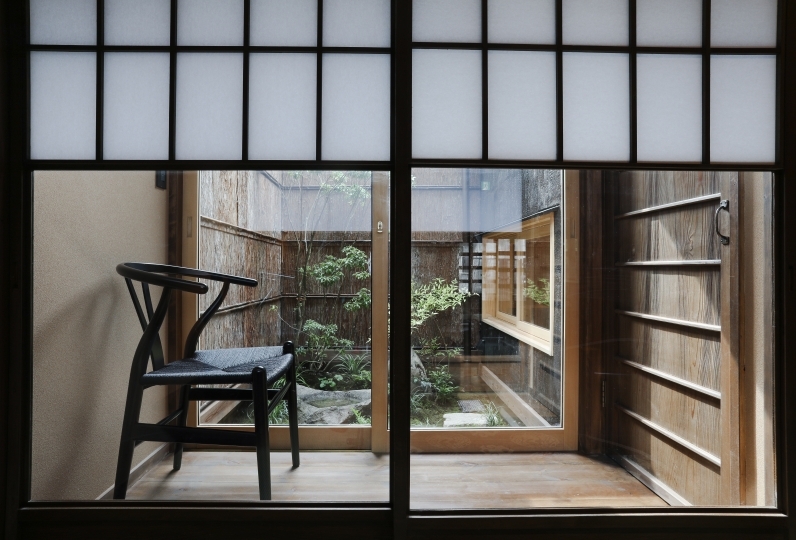 Why not experience  a life in a Kyoto town house? 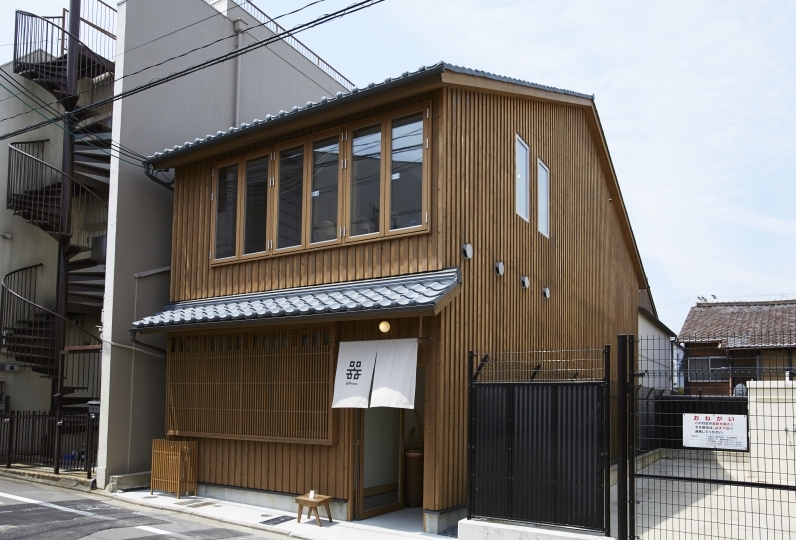 Rinn Miyakawacho Tsubaki will welcome you with the looks of a tea house, located on a road where maiko and geisha walk. Once you enter inside, a calming space finished with pillars of plain wood and floors of pine tree will spread before you. 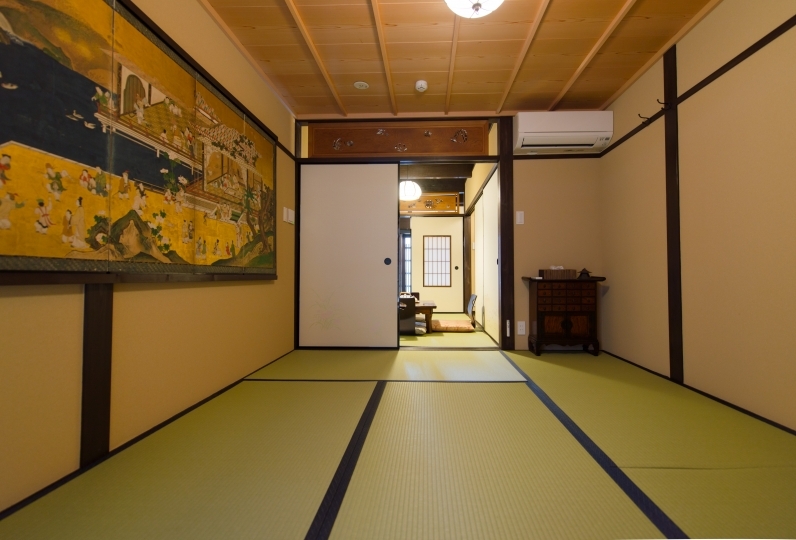 From the room of wooden floors, you may relax viewing the inner garden. 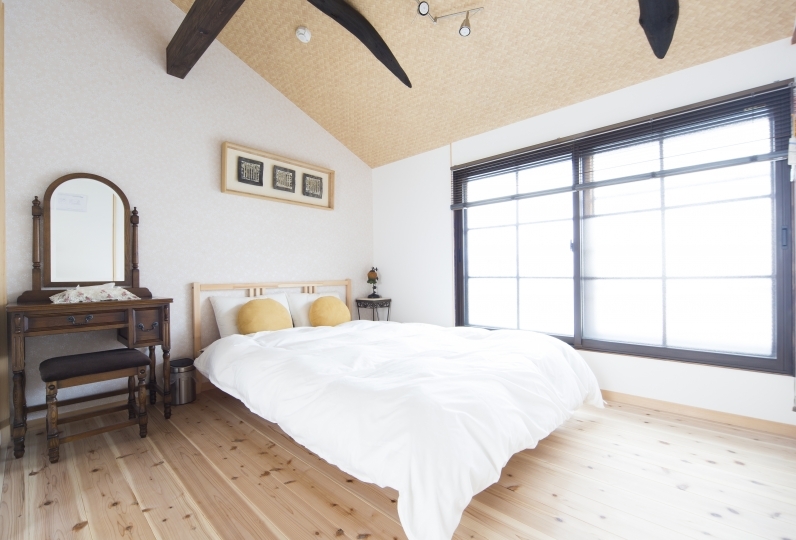 A bed and a futon will be prepared on the 2nd floor. 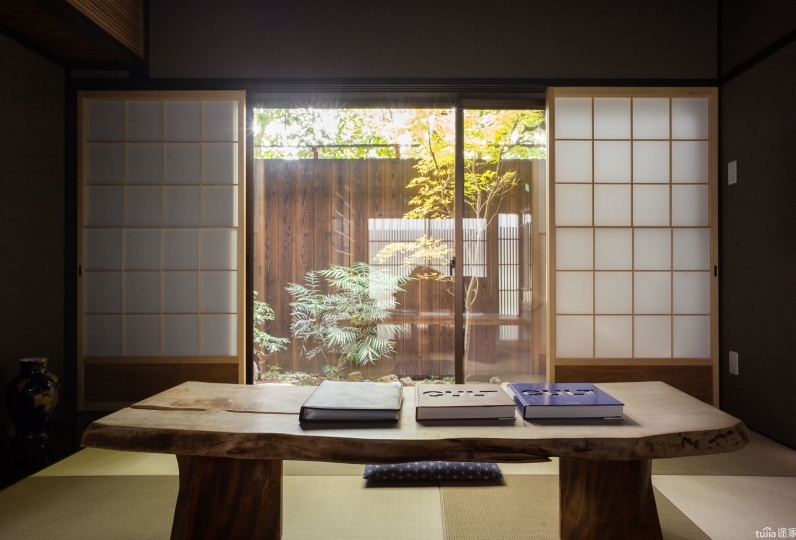 In the tatami room next to the bed, a low table with floor cushions will be placed where you may spend a relaxing time before your sleep. Please reserve early for only a group per day may use this hotel. 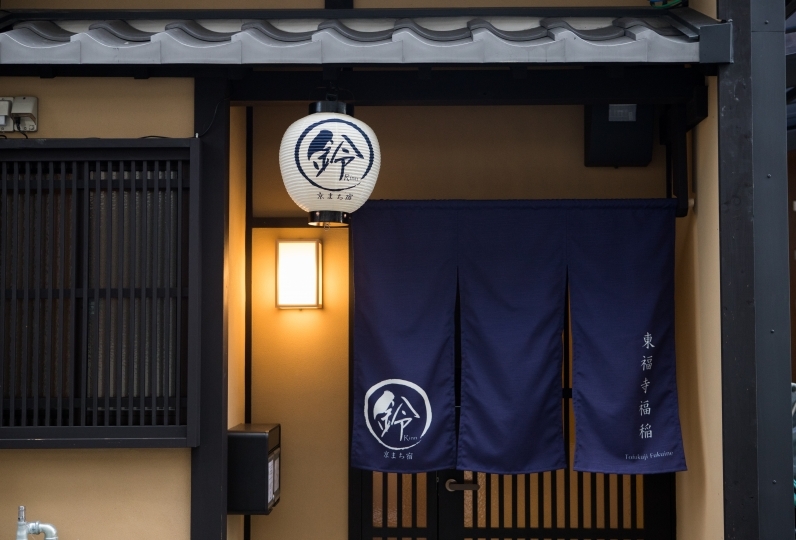 an experience exclusive in Kyoto. 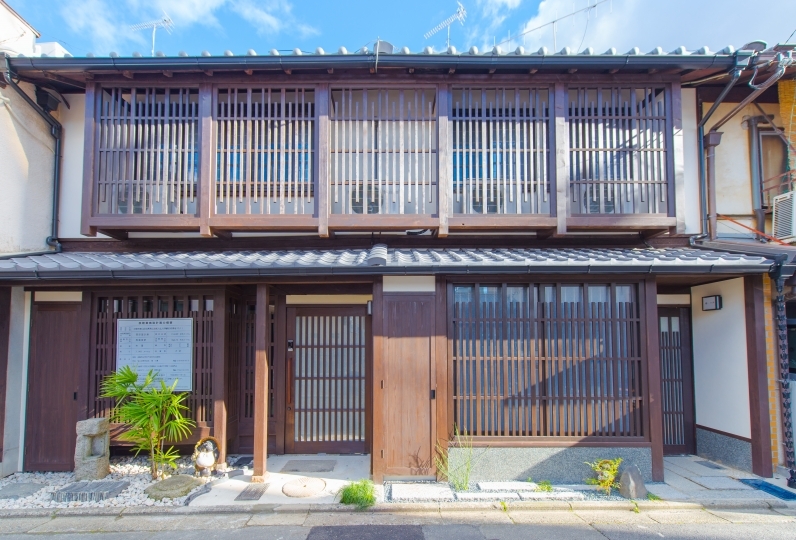 Microwave, refrigerator, kettle, tableware and other amenities are equipped. 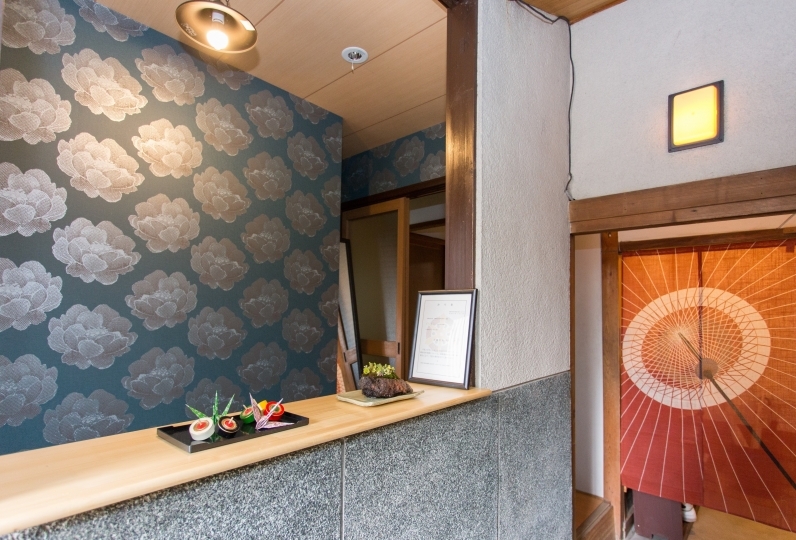 To go to major sight seeing spots, using the Kyoto municipal bus from the nearby bus stop will be convenient. 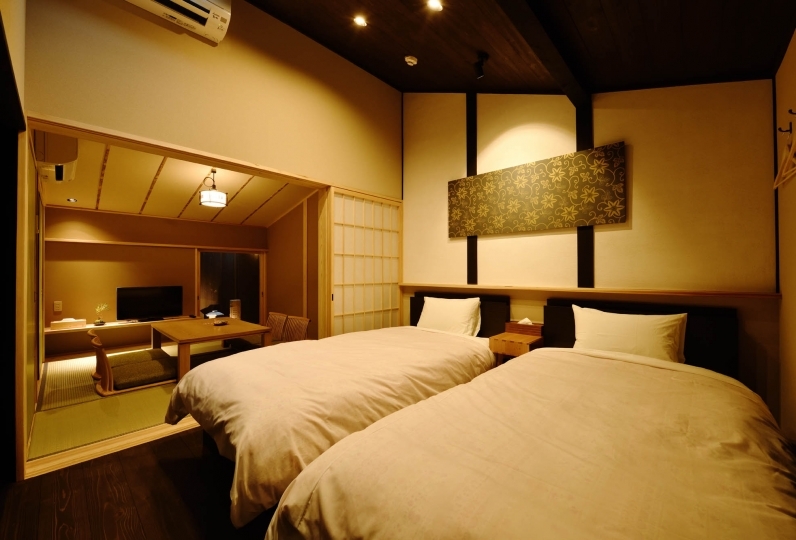 ◆All rooms are non-smoking. If you would like to smoke, please use the smoking space. 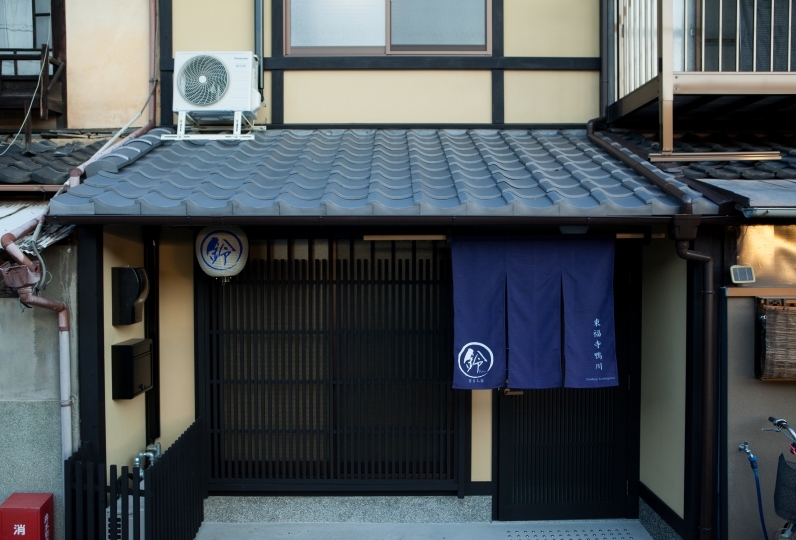 ・The location of Rinn Kiyomizu Gojo and other information will be introduced in the booking confirmation mail as well as how to access, so please confirm. 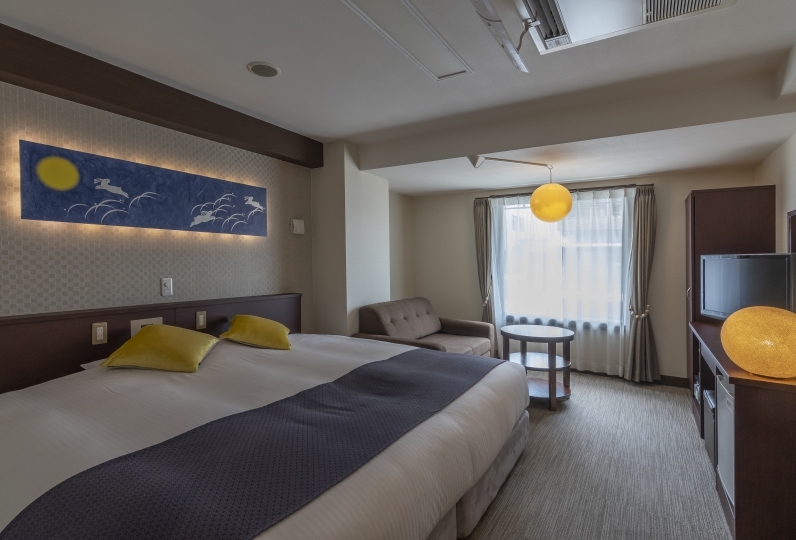 The accommodation area and the area of check in will differ. 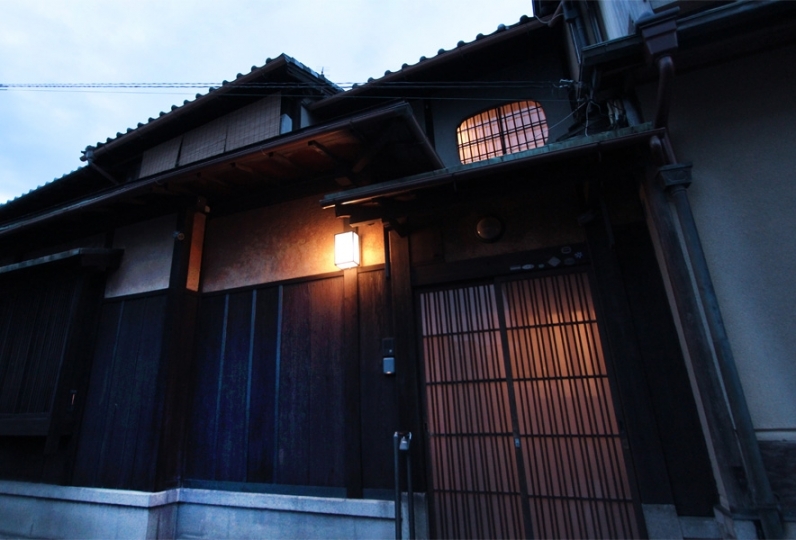 Please do not go directly to the hotel but visit the Rinn Kiyomizu Gojo.